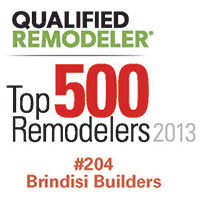 Brindisi Builders, Your 50th customer in a row just said you deliver exceptional service! What Does this mean? 50 customers in a row gave you the highest possible score in response to our Likely to Recommend question. Brindisi Builders, Your 10th customer in a row just said you deliver exceptional service! What Does this mean? 10 customers in a row gave you the highest possible score in response to our Likely to Recommend question. Brindisi Builders, Your 20th customer in a row just said you deliver exceptional service! What does this mean? 20 customers in a row gave you the highest possible score in response to our Likely to Recommend question. "Our remodeling project was a small dream come true. All your professionalism and work ethic is obvious in our Addition. Thank you for your patience." Copyright © 2019 Brindisi Builders, all rights reserved.